From the circus and to other businesses that sometimes seemed as such, Bob Fleshner has had a varied and colorful career. Bob often refers to himself as a “recovering lawyer,” and that’s where his career began. After a short stint in private practice, Bob ran off and joined the circus as Vice President of Legal Affairs for Ringling Bros. and Barnum & Bailey, a position he held for nine years. During that time, Bob learned as much about business and management as he did about law. Ringling Bros. was a multi-faceted company with a broad array of issues that required nimble balancing and precise execution. After leaving Ringling Bros., Bob switched to management consulting before eventually becoming CEO of United Healthcare of the Mid-Atlantic, a $300+ million division of United Health Group. Thereafter, Bob became East Region President for United’s Medicare Advantage business, a $1.4 billion division. 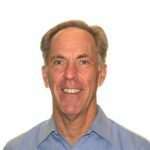 In these capacities, Bob oversaw customer service, operations, human resources, marketing, sales, network development, finance, and account management. In 2007, Bob started his own fitness-related business, which included the American Odyssey Relay, the Rock the Creek Relay, and related ventures. As a one–man shop in the beginning, Bob learned and then implemented every piece of the business from operations to marketing to finance. A 200-mile, overnight relay race, the American Odyssey is an incredibly intricate endeavor. In starting that race from scratch and successfully directing it for nearly a decade, Bob garnered invaluable experience in all business disciplines. Bob, founder and President of EPICOACH, is an Associate Certified Coach (ACC), as recognized by the International Coach Federation (ICF). He assimilates his decades of multi-disciplinary experience, ranging from startups to Fortune 500 companies, combining skills in communications, marketing, strategic planning, finance, business planning, etc. He applies a deep understanding of business as well as human nature to help his clients undertake a journey of self-discovery, which, in turn, helps them to unlock their potential. His accreditations include Executive Coaching Program from American University and the District of Columbia Bar. Additionally, Bob is certified to administer DISC, a behavior assessment tool based on behavioral traits and designed to improve performance, and the Strong Interest Inventory, the industry-leading career assessment tool. Whether Bob is working with a lawyer, an executive, or an individual trying to overcome the feeling of being “stuck,” he brings his experience to bear in helping them remove the barriers to career success. Bob’s clients see him as a unique professional role model, someone who has “walked the walk” and “run the run.” In this light, Bob’s experience as a personal trainer and marathon runner provide motivation and inspiration for his “coachees.” In addition, Bob has forged an amazing network of colleagues in his various pursuits, and he continues to collaborate with many of them for the benefit of his clients.Throughout his career, Bob has strived to help people succeed and ultimately become more self-actualized. At EPICOACH, he forms strong bonds of trust with his clients, who enjoy his sense of humor and appreciate his results-oriented approach. His testimonials speak volumes. In addition to career coaching, EPICOACH’s services include consulting and speaking.